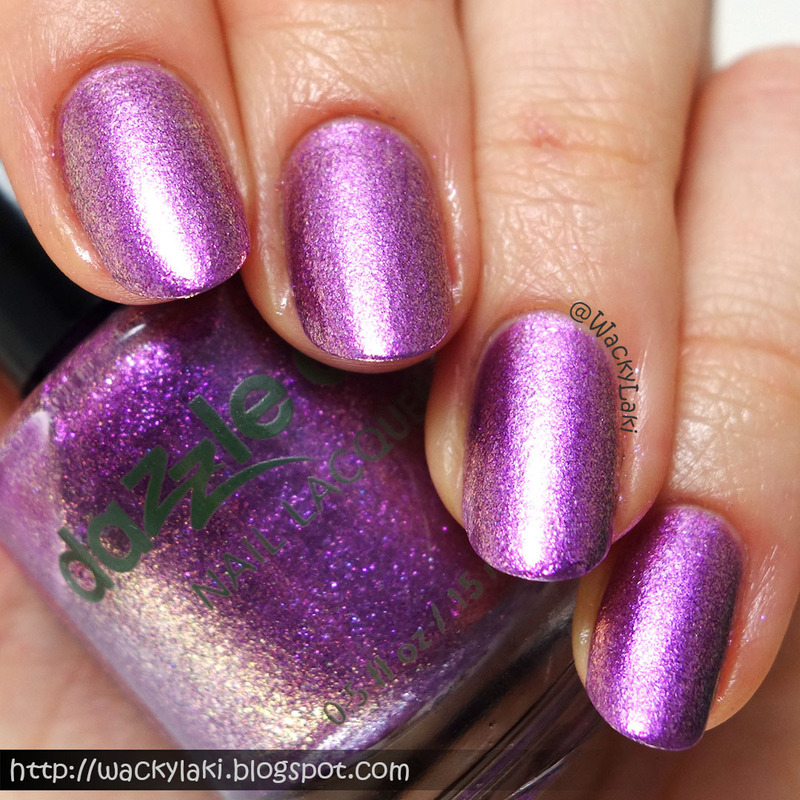 Dazzle Dry Cyclone is made up of duochrome purple to gold shifting flakies in a sheer base. The golden tones really come out when looking at the nail at indirect angles. It took 2-3 coats for full coverage. I mostly used 3 thinner coats for quicker and smoother dry time, but 2 thicker coats worked just as well. Swatches are with the Dazzle Dry top coat. Another stunner!! I imagine these would be blingtastic in sunlight! Great color combination, especially this time of year! No worries on not posting ever day! I don't know how some do that. I would be SO burned out. I hate that a nail blog would become a chore instead of something you enjoy so... post as you can, not because you feel you have to! We'll still be here!